The youth hosted the Annual Souper Bowl Sunday in January raising over $1400 for God’s Helping Hands. The youth sold pies to raise money to go to the National Youth Gathering in Houston, Texas. 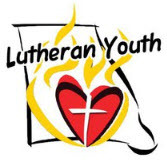 3 youth and 3 adults went to the ELCA Youth Gathering in Houston, Texas with 3 other local congregations at the end of June/early July. In September, the youth led worship in the fellowship hall presenting what they had seen, answering the congregation’s questions about the experience and giving thanks to OSLC for all its support.